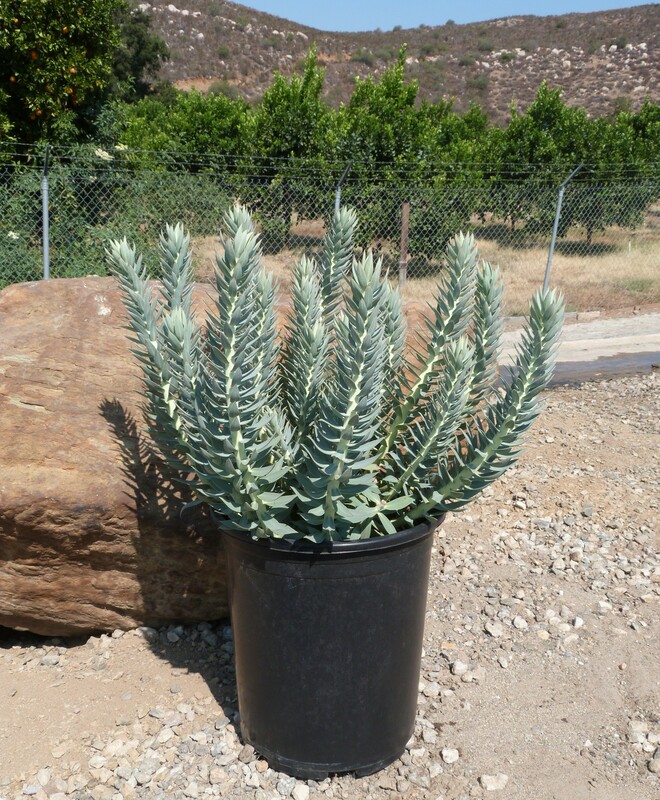 Gopher spurge is a unique specimen that features upright stems with slender, blue-green leaves that grow in tight spirals. The interesting growth habit gives this easy-to-grow plant a modern sculptural feel. In spring, clusters of small green flowers with chartreuse bracts open at the tips of the stems. As the blooms mature, they turn a coppery color they make a nice companion to other fall foliage color plants. Gopher spurge is perfect for areas of the landscape that are difficult to water or take on reflected heat, such as parkways and near drives. Though it thrives in drought prone areas, gopher spurge grows best in full sun and in soils that drain well; dry, rocky soils are well tolerated. After flowering, plants will naturally reseed; but the young plants are easy to pull out where you might not want them to grow. Great for easy-care container plantings in addition to the landscape. Be careful not to touch your eyes or bare skin after handling gopher spurge, as the sap does act as an irritant to some. While gopher spurge is a low-maintenance plant, it can become susceptible to nematodes, spider mites, aphids, mealybugs, fungal and bacterial diseases if it is overwatered or grown in poor-draining soils.